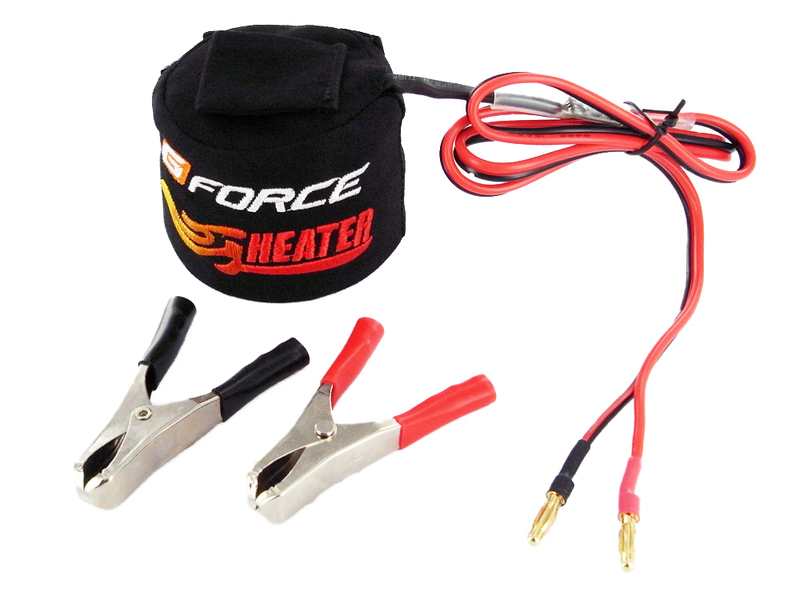 G-FORCE engine heater will pre-heat all the critical parts of your nitro engine, giving you a minimal of stress and wear on the engine. It help relieve the stress on the crank, con-rod, piston and sleeve during warm-up. It also give you a very easy and smooth engine start, with no stress on your starterbox. Fuel consumption is much less, as you do not have to spend time warming up and adjusting your engine. A pre-heatet glow-plug will increase the life of your plug. It is also perfect for break-in, as it reduces the "pinch" on your new engine. You will experience that engine pre-heating is a must. Most importantly, it will quickly pay for itself by increasing engine life and performance! MCU control heating time and heating power for maximum safety. Safety timer: turn off power around 10 minutes automatically. Built-in temperature sensor: to control the output power of the heater LED indicator for status of engine heater. 12V DC source with low voltage cutoff. Fireproof and heat resistant adjustable cover. 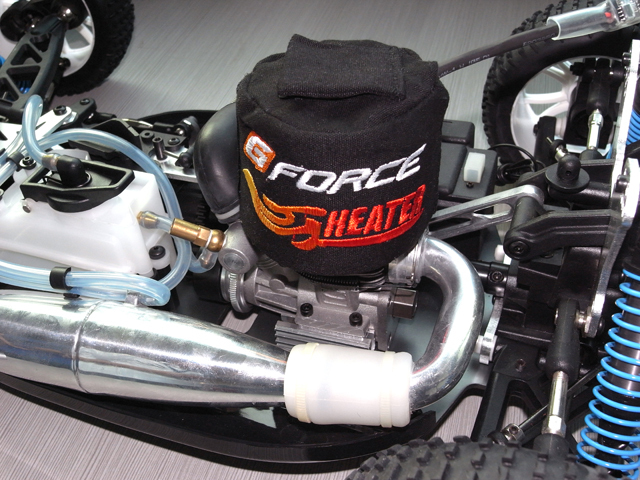 Fits all .19-.26 RC nitro engines. Very small, lightweight and compact for quick and easy storage. It's designed to transfer heat effectively and efficiently. Access port on top allows you to start and monitor your engines temperatures without having to take the heater off.